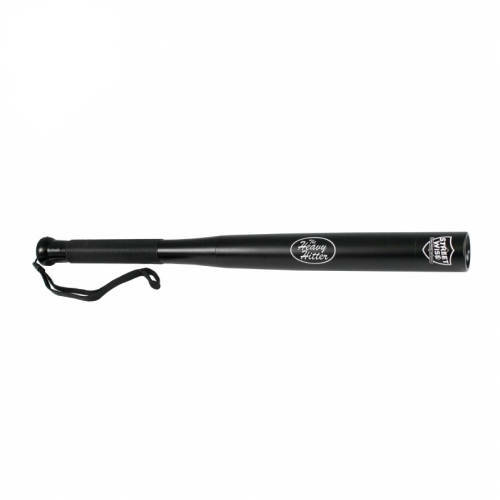 The Heavy Hitter Mini Baseball Bat Flashlight - It's there for you when you really need something you can depend on. 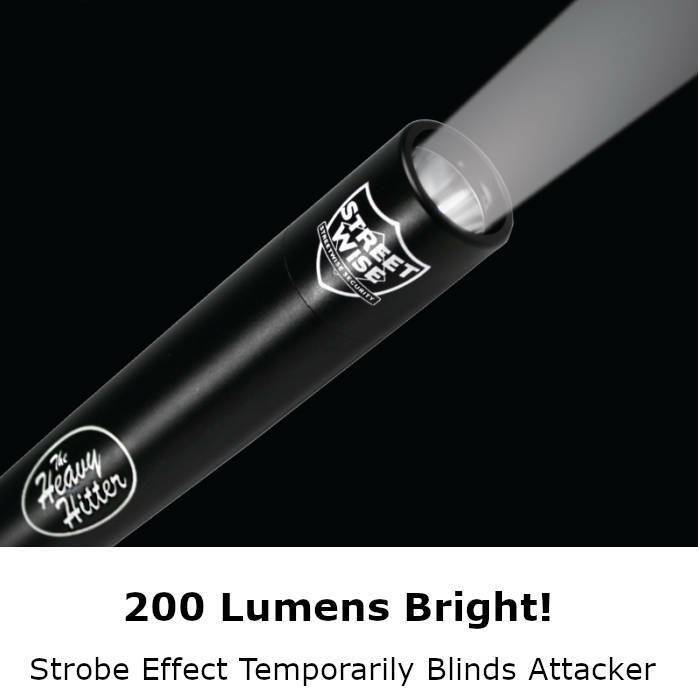 The Heavy Hitter provides the protection of high-grade aluminum and a 200-lumen flashlight. When you need something that can give out punishment, you need a product you can depend on. Our bat flashlight is that product! It can withstand abuse as well as dish it out. By shining the strobe flashlight in their eyes, you get a serious advantage in this fight. They won't be able to see and will lose all their night vision. Read more below. The Heavy Hitter Aluminum Bat Flashlight provides "big league protection" by combining the safety of a 200-lumen flashlight with the protection of a high-grade aluminum bat... just in case. Strike: If these first two are not enough to deter the attacker and they are being defiant, then a blow from the Heavy Hitter bat flashlight certainly will! Just step toward your attacker and swing for "de-fense"! It's one strike and they're out! 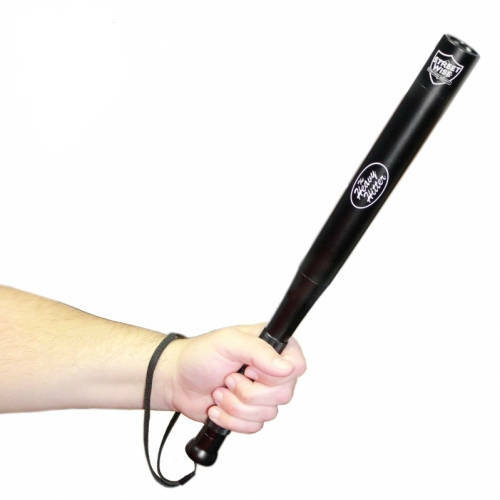 The 16-inch long bat plus the length of your arm will keep you a safe distance away from the attacker and provide you with a long "strike zone". Keep one of these in your vehicle so you'll always have light and a way to protect yourself. A bat flashlight makes a statement. Order yours now.